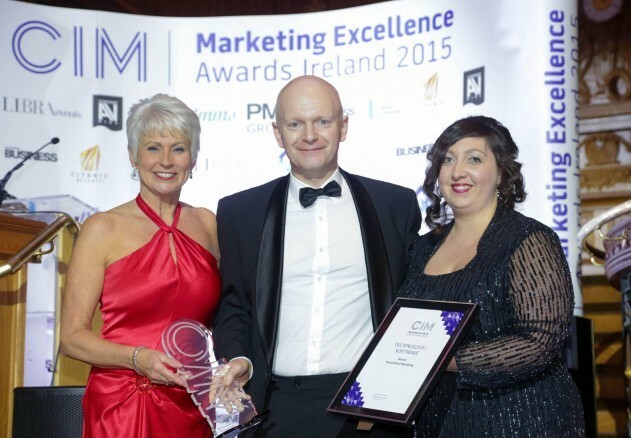 We’ve just landed one of the marketing industry’s most prestigious accolades at the recent Chartered Institute of Marketing (CIM) Marketing Excellence Awards. The event, held at the Titanic Museum Belfast and compered by UTV’s Pamela Ballentine, recognised innovation, creativity and results in marketing throughout 2015. In one of the most competitive and sought after categories, Forza came away with the overall prize for Best IT/Software Marketing Campaign of 2015. Having worked extremely hard over the past 5 years to build a reputation for developing innovative marketing campaigns that deliver tangible results for our clients, we were delighted when a panel of our peers gave us their stamp of approval.